Playground Forts make a real impact in your play area. With lots of flexibility to create the ideal bespoke structure our designers can incorporate all sorts of sliding and climbing activities to keep children of all ages entertained and excercising. 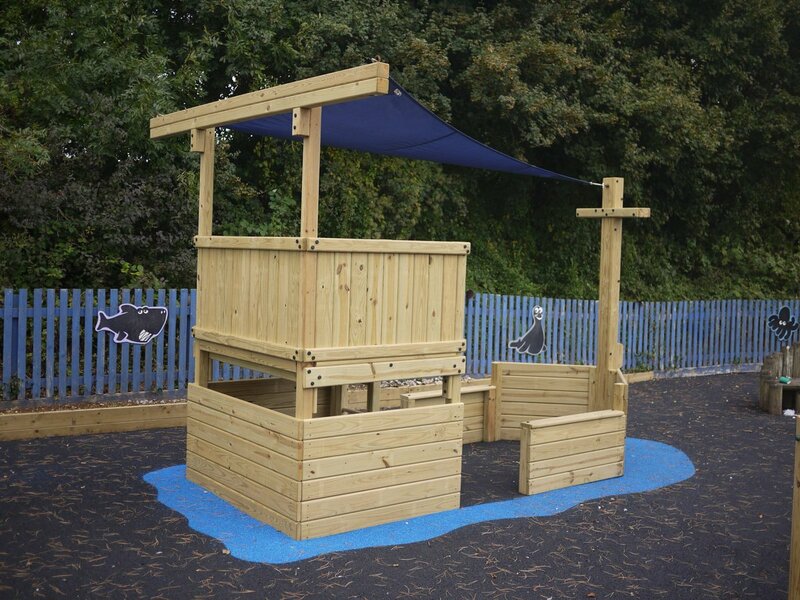 Our standard Playground Fort measures 5m x 5m and features four towers with three interconnecting bridges. Under the bridges we fit full height palisades to make the fort truly impregnable; while the defenders can access the elevated tower decks (1.5m) via ladders, a scramble net and a rock wall. The towers have the option of standard or battlement walls on the top and are completed with a lower clubhouse, each with a floor and two walls to add extra play space. Alternatively you can adapt the Playground Fort to your own requirements: you can make the fort into a different size or shape, increase the floor area of the towers, add more climbing features, and of course increase the fort’s size at a later date. And we don’t just provide Adventure Forts to schools either. Below are a few of the custom designed forts we have installed. From left, a theme park where the fort cascades down the hill, a farm park where we used a central mound to create a mammoth structure and (right) part of a themed play area. You can see the history of that project here. See our range of Playground Ships and Look Out Towers. From start to finish the planning, design and construction process of our playground was flawless. The clever design and super flexibility of the modules and add-ones allowed us to design our own custom playground in 30 minutes.